J. R. R. Tolkien is perhaps best known for The Hobbit and The Lord of the Rings, but it is in The Silmarillion that the true depth of Tolkien’s Middle-earth can be understood. The Silmarillion was written before, during, and after Tolkien wrote The Hobbit and The Lord of the Rings. A collection of stories, it provides information alluded to in Tolkien’s better known works and, in doing so, turns The Lord of the Rings into much more than a sequel to The Hobbit, making it instead a continuation of the mythology of Middle-earth. 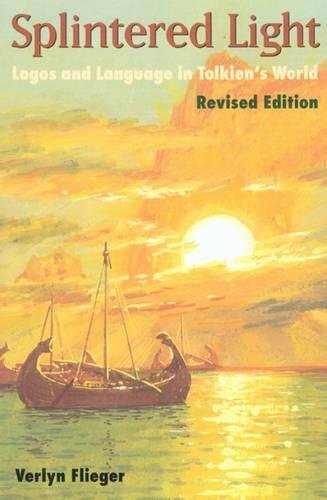 Verlyn Flieger’s expanded and updated edition of Splintered Light, a classic study of Tolkien’s fiction first published in 1983, examines The Silmarillion and The Lord of the Rings in light of Owen Barfield’s linguistic theory of the fragmentation of meaning. Flieger demonstrates Tolkien’s use of Barfield’s concept throughout the fiction, showing how his central image of primary light splintered and refracted acts as a metaphor for the languages, peoples, and history of Middle-earth. View More In Science Fiction & Fantasy. If you have any questions about this product by Brand: Kent State University Press, contact us by completing and submitting the form below. If you are looking for a specif part number, please include it with your message.